From the diary of a fashion designer : All that Glitters is Gold ! Gold has fascinated the human race ever since it's discovery. Homer , in the 'Illiad' and 'Odyssey' mentions gold as the glory of the immortals and a sign of wealth among ordinary humans. 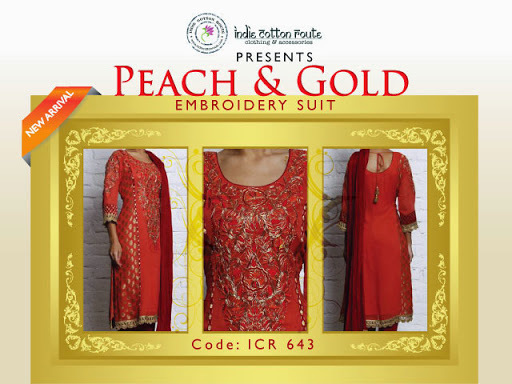 No wonder that gold thread be used in creating garments which look Royal and Grand. Gold embroidery was developed in Asia and has been used for at least 2000 years. It's use reached a remarkable level of skill in the middle ages when a style called Opus Anglicanum was developed in England and was used extensively in the Church decoratives. After this period it was used frequently on clothing and furnishings of the Royalty and Nobility. Turquoise georgette kurta with Tilla/gold thread embroidery. In India 'Tilla' or Gold thread embroidery can be traced back to the times when it was done by Jingarhs or the people who made horses reigns decorating them with Tilla embroidery. They also produced decorative banners for kings and Maharajas. Then later they got involved in making badges and emblems not only for the princely states but also the British army. 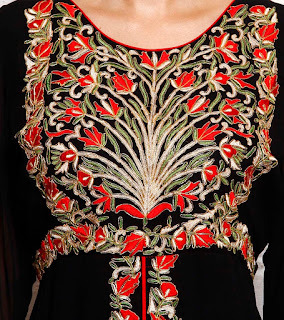 A black georgette kurta with Gold tilla and thread embroidery. Tilla embroidery is used for decorating Juttis in Punjab. 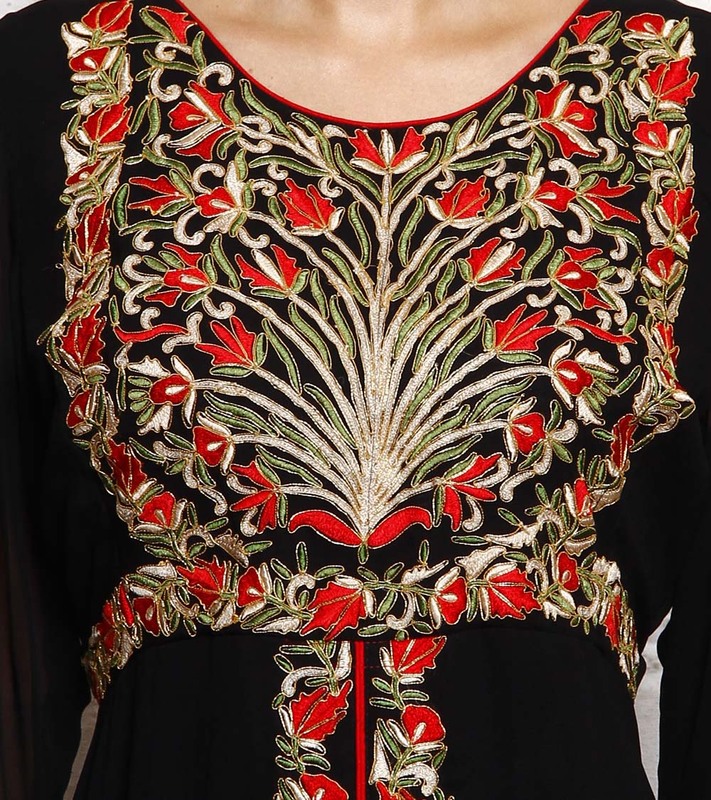 You can see beautiful gold thread embroidery on the shawls and Phirans of Kashmir ! A gold coloured kurta with gold thread embroidery on a black patti. Thus the Love for Gold never grows old !